Bollywood actress Aditi Rao Hydari walks the ramp at the India Bridal Fashion Week in Mumbai. 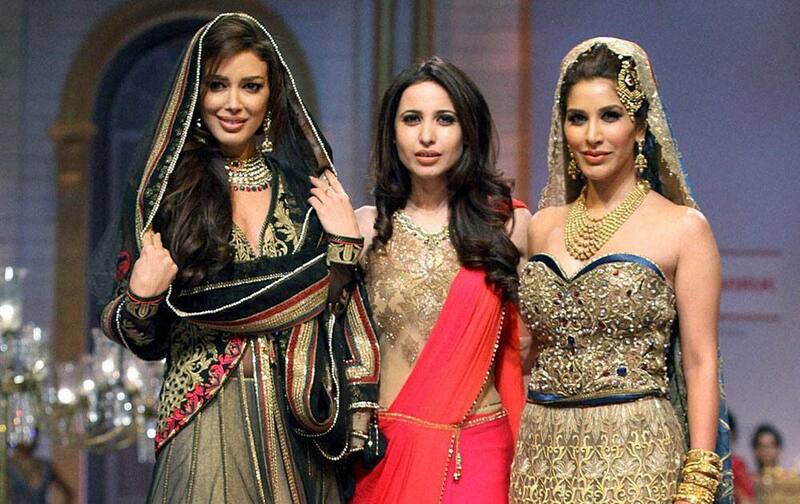 Bollywood actress Sophie Choudry walks the ramp at the India Bridal Fashion Week in Mumbai. 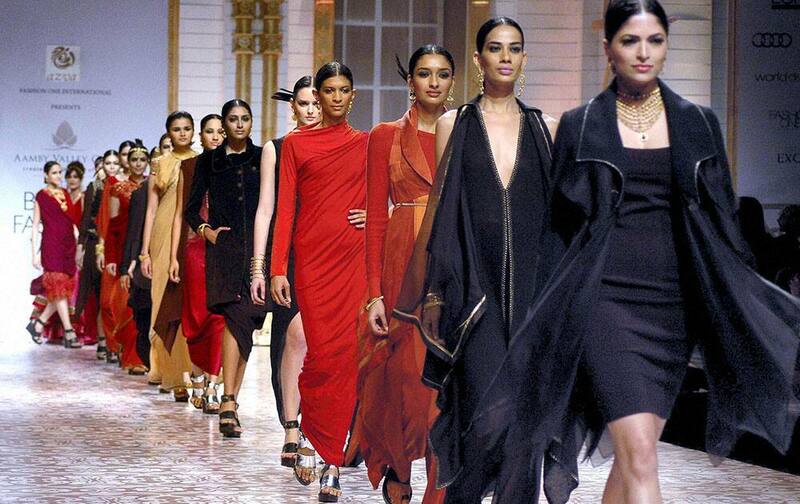 Bollywood actress Esha Gupta walks the ramp at the India Bridal Fashion Week in Mumbai. 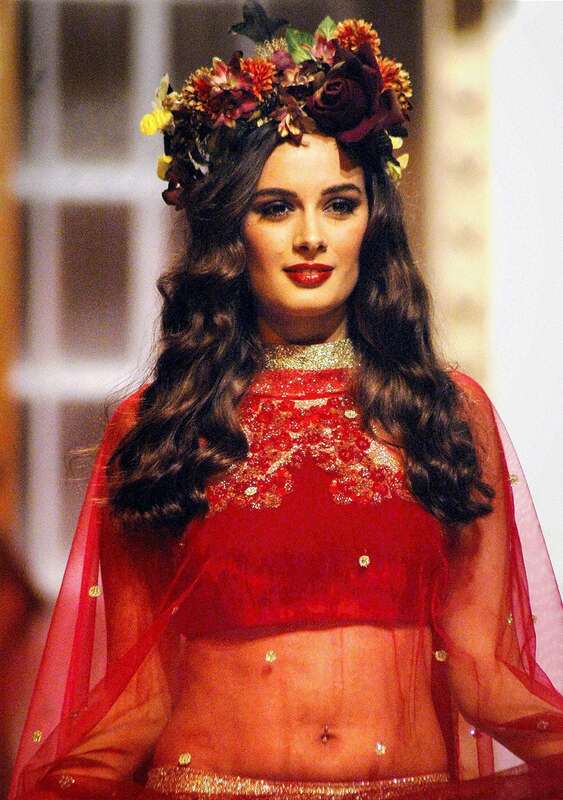 A model walks the ramp at the India Bridal Fashion Week in Mumbai. Bollywood actor Huma Qureshi walks the ramp to dispay a collection during the fourth day of India Bridal Fashion Week in Mumbai. 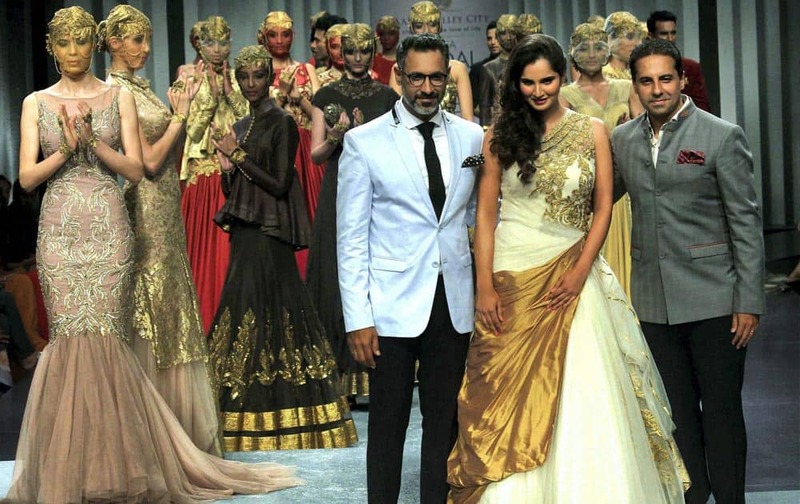 Tennis player Sania Mirza dispays a collection during the fourth day of India Bridal Fashion Week in Mumbai. Bollywood actor Riteish Deshmukh with his wife actor Genelia and actress Shamita Shetty during the fourth day of India Bridal Fashion Week in Mumbai. Tennis player Sania Mirza dispays a collection with Designer Shantanu & Nikhil during the fourth day of India Bridal Fashion Week in Mumbai. Bollywood actress Dia Mirza with designer Raghvendra Rathore during the India Bridal Fashion Week 2013 in Mumbai. Bollywood actress Chitrangda Singh walks the ramp showcasing an outfit designed by Azva during the Aamby Valley India Bridal Fashion Week. Bollywood Actress Alvin Sharma at the ramp during the India Bridal Fashion Week 2013 in Mumbai. 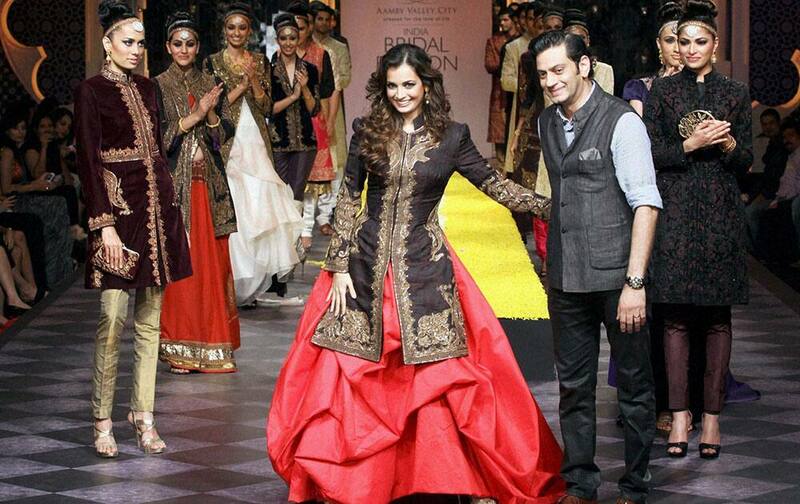 Bollywood actress Dia Mirza at the ramp during the India Bridal Fashion Week 2013 in Mumbai. Models walk the ramp showcasing outfits designed by Azva during the Aamby Valley India Bridal Fashion Week on third day.